Stumbling upon London Wall reminded me about the attraction I had previously heard Londoners converse about for many years but for some reason I hadn’t had the opportunity to discover its location and the history behind the ruin. It wasn’t until I stumbled upon it whilst on a trip to another location (more from there later!) that I discovered London Wall. It sure looks ancient in the midst of modern architecture but it is well worth visiting. 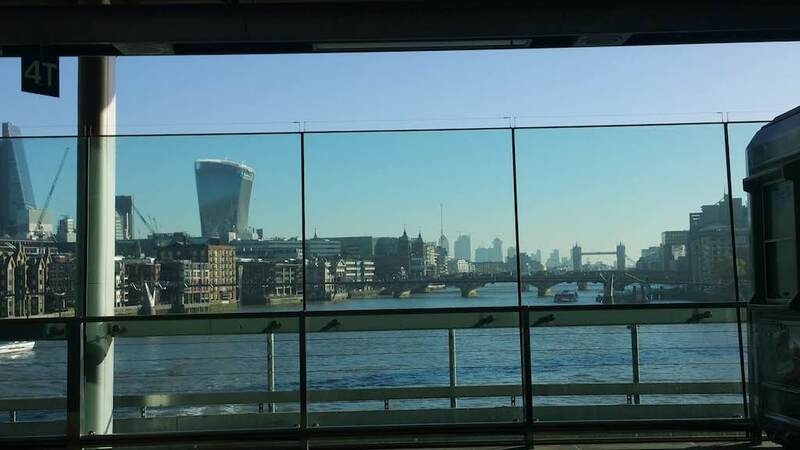 Did you know that London Wall was the defensive wall built around London, which used to be known as Londinium, a port town city on the River Thames? 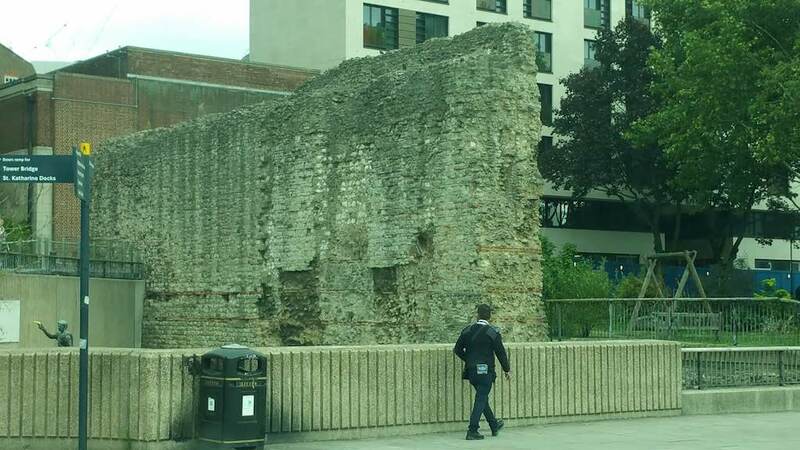 The remaining piece of the Wall, built by the Romans in AD200, still stands to this day and can be found just opposite Tower Hill in London, UK. These are fascinating insights at the historical London Wall. Until the later middle Ages, the wall represented the border that surrounded the City of London. A defence mechanism used for protection from intruders. Without a doubt, modifications were carried out on this ruin over the years but eventually it gave way to many modern high-rise buildings. They stand stand tall in the City of London today. Presently, the ruin is a popular tourist attraction for visitors and Londoners. Can you believe that this monument once stood a colossal two and half miles long! Similar ruins can be found all over the world and have gradually fallen apart due to war, natural disasters, and human destruction, ageing Bricks and mortar or for other reasons. A few years back I also remember analysing ruins in the Umbria region of Italy and spent ages working out what happened to their structure. In London I stood still for a while, to observer the remains of London Wall – something I do everyday. 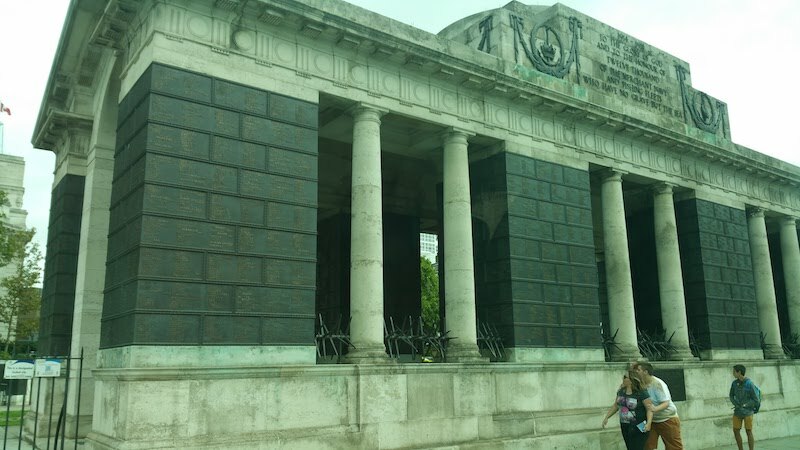 If you’re struggling with deciding on places to visit in London, venture out and search for some ancient architecture, ruins of fascinating buildings near you or further afield. They all tell different tales, for instance, what was the idea behind their construction in the first place and how have they been able remain today? These remains have the ability to tell historical stories and will take you back in time and they are not always attractive but they are broken buildings displaying a work of art. One thing I know is that history would probably not be made without their existence but sadly, monuments don’t last forever. So yes, they are worth celebrating although some ruins can be highly controversial. Do you enjoy observing ruins? The striking thing about them is that you can easily stand and glance at their details and build up a picture about their origin and become eager to ask endless questions. Ancient ruins always make me curious. Do you admire bricks and mortar, like I do or do you find this boring? Are you in to observing, visiting and questioning ruins in London and beyond? What thoughts come to mind? Feel free to drop me a line or two. Here is a map and how to get there. Read more stories from journey with bola here. Not sure I have spent any time at the London Wall but I will next visit. Thank you. Your welcome. It’s well worth the visit. This is the beauty of landmarks like this. They simply bring ancient times to life. You article does a good job at explaining the precarious decision between ruins and modern day architectural accomplishments. It is wise for us to remember the past, as it will aid us in building the future. So true! Without history, we cannot build a better future. Hi Bola — Yes, I enjoy seeing the vestiges of previous civilizations but I have to admit I’ve been to London several times but have never seen the London Wall. Governments lack the will and money to save their historic ruins. And in the Middle East warring factions have destroyed icons that can never be restored. I have never seen the London wall. Admittedly I have little interest in ancient ruins but you have given an excellent in depth account. I have been on several tours and it always helps when the guide has a passion for what he/she is discussing. It’s the passion that enables the tour guide deliver a good account of of what they are discussing. It’s such a shame that the Roman origin of this city gets overlooked. Great post about Roman London! I love going to see ruins, and the closer I can get to them the better. There’s something about being next to these structures that brings the past closer, and I love London especially for all the Roman ruins. The London Wall is a perfect example. I feel exactly the same when I get up and close to ruins. They’re all about the past. Never heard of the London Wall and I have been to London 3 times!!! It’s worth putting the London Wall on your “places to see” list for your next visit. I never knew any of the old wall still existed! I like visiting such relics, though generally the more you can still see, the more interesting it is. For example, at a ruined castle like Dunnottar outside of Aberdeen, which I visited recently, you can really easily imagine what it must have once looked like. I always try to work out what the ruin would have looked like all those years ago. The ruined castle like Dunnottar outside of Aberdeen is a place I would like to see.